So, how ’bout that schooling Jason? You learning anything? Eh, not really. I am catching up a bit on some games though! Been busting out all sorts of stuff, like Wizorb, Killzone 3, Resistance 3, Deus Ex: Human Revolution, and more. This is the big ol’ review roundup. Okay, so what is Wizorb? Why would I put that above all the other games that you’ve actually heard of? Well, as you may recall, I did an interview with a Mr. Jonathan Lavigne a while back (over a year ago now! )… so this is more or less a follow up of his work. Plus, if you like brick breaking games, this is one you can’t miss. This game starts in a style that is reminiscent of the old NES JRPGs, with a town destroyed by evil and people asking for help. 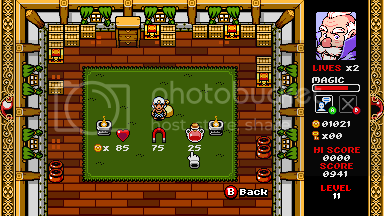 So it’s up to you, this wizard who fights evil with an orb, to raise money to bring the village back to life by breaking blocks and enemies you find along the way. And at the end of each “chapter,” you fight an amazing boss. And I mean amazing. Something about getting past all the levels to go up against a huge creature that gives the game a whole different mindset is so… invigorating. Overall, the game play is enjoyable, the music and visuals are charming, and the difficulty actually challenges you later on in the game. For only 240 Microsoft Points, you are dumb if you don’t BUY this game. Next up is Killzone 3. 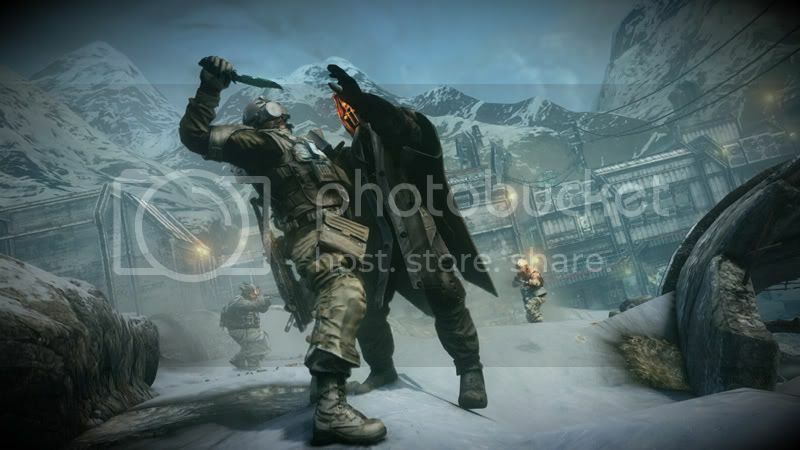 Killzone is a series that has gone through a number of changes throughout its life. The first game had various characters that changed the way you played, the second had a heavy feel to the character with an occasional mech, and this one feels like a much prettier, grittier toned version of CoD – but with jet-packs. So is this change good or bad? Well, I won’t say I didn’t enjoy it. It definitely had it’s moments, as most games nowadays do. But thinking back to it (it’s only been a couple months at best since I played it), there are parts I’m getting confused with from the second. It didn’t stand out as a must have game. Sure, the environments were great, the controls worked fine, and the addition of the jet-packs helped spice things up. But overall, the game just felt typical. Weapons were pretty standard, the animations were nice, and even the story wasn’t too bad. But that’s just it – not too bad. Fun, but nothing breathtaking. I’d say it’s a RENT if you want closure on the story (technically there can be another game…). 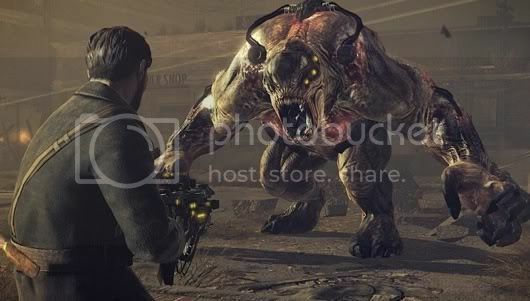 Resistance 3 is the final game in Insomniac’s debut PS3 series, and a very fitting conclusion at that. In comparison to Killzone 3, this game breaks the typical modern day FPS model. When I went to select my weapon, I had forgot about the Insomniac weapon wheel. You don’t only hold a main and secondary weapon, but all the weapons you collect. Aside from that, this is Insomniac weaponry we’re talking about – exploding rounds, homing bullets, mutating rounds, flaming shotgun blasts, a sledge hammer… Okay, the last one isn’t a big deal, but I love sledge hammers as weapons. Oh, and the weapons upgrade with use, getting new abilities, a la Ratchet and Clank. Enemy variance is nice, as they decided to add characters from the previous games, and also characters that were reminiscent of past ones but better – not to mention new ones. Beyond that, the story follows a Joseph Capelli – if you don’t know who that is, you will once you play it. I didn’t remember what exactly happened at the end of the second, but this one clears it up early on as you learn about your character. The story in this one is appealing; I actually felt a connection to the characters. They also did a nice job on a certain part of the game near the end where… well, I won’t ruin it. But it’s one of the things I really loved about the newest Medal of Honor game. I’d say out of the trilogy (not counting the PSP one), this is my favorite. However, it is a typical FPS, meaning you can beat it in a day if you want. So unless you want to sink hours into the online, I would say RENT this bad boy. The next game I didn’t even want to play after seeing multiple trailers, despite playing the originals way back in the day on PC. However, my brother wanted it for his birthday, so I got it for him. Deus Ex: Human Revolution turned out to be one of my favorite games I’ve played this year. Maybe it’s because I haven’t played a Metal Gear game since 4 originally came out and I took three days off for it, or maybe it’s the fact that they just did a really awesome job making it. 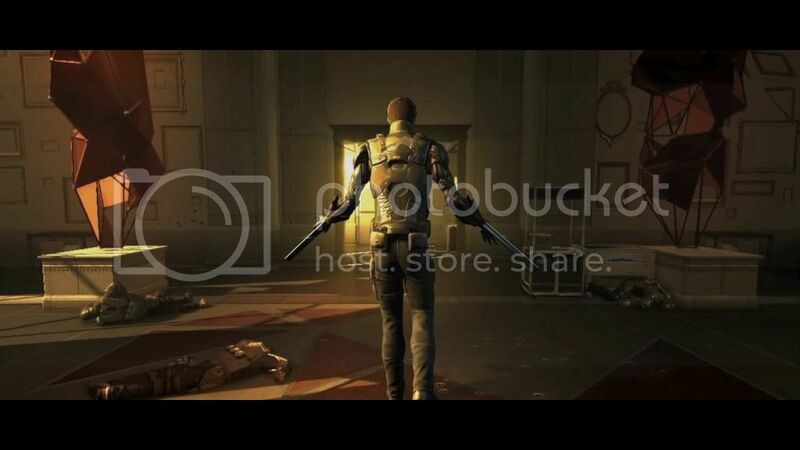 You play as Adam Jensen, who undergoes an operation to avoid death and makes you a bionic soldier. 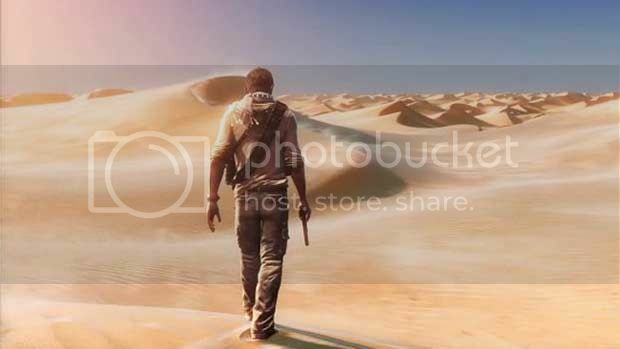 The game is an FPS with RPG elements, and contains various play styles based on how you build the character. You can go for a stealth approach, brute strength, non-lethal, etc. There are hidden vents that are reminiscent of MGS games, dialog choices that affect how the game plays out akin to modern Bioware games, and abilities that genuinely got me excited. I felt like such a badass playing as Adam throughout the game. It’s an extremely well crafted game, with a great story and many hours of game play. This is one of the few purchases warranting a sixty dollar price tag, and I see it for forty or less all over the internet. BUY this game if you want to play something amazing and quite different from most things available currently. God of War: Origins Collection was a nice change from what I’ve been playing, as I need a hack and slash every now and then. While I bought Chains of Olympus for the PSP when it first came out, I never played it. In fact, I’ve only played about three of my twenty or so PSP games… I’m not that great at getting around to portable games anymore. And I had heard Ghost of Sparta was amazing, so the collection seemed like my chance to finally get around to playing them. Chains of Olympus played like I expected a PSP game to. It was a bit less impressive than my first playthrough of the first years ago on the PS2. Nonetheless, it was still a decent enough game. But honestly, the star of this collection is Ghost of Sparta. I would’ve bought this by itself if it was an option, and cheaper. In terms of game play, it is reminiscent of 3, being that it came out after it. The environments are beautiful, the fighting is just as deep, the story is easily the best out of the series. Unfortunately, it is a GoW collection, meaning I beat both within eight hours (total… I could’ve finished both in one day). So unless you are a collector, or just have the money, this is a RENT. Sideway is a PSN and PC game that has you stuck as graffiti on buildings, and you have to platform your way to the end of each level. Sound easy? Well, it is if you’re good at platformers. You can beat in a couple hours, if you wanted. 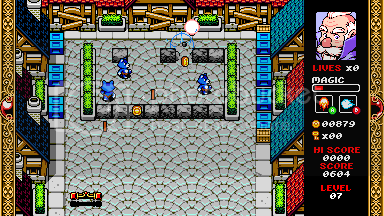 Along the way of fighting evil graffiti monsters and bosses, you get various powers (glide, double jump, slide, grenade, and MUCH more) and can collect tags. There are five secret tags in each level that often require you to backtrack after getting a certain power. For ten dollars, this game is worth the innovation and deserves your support. 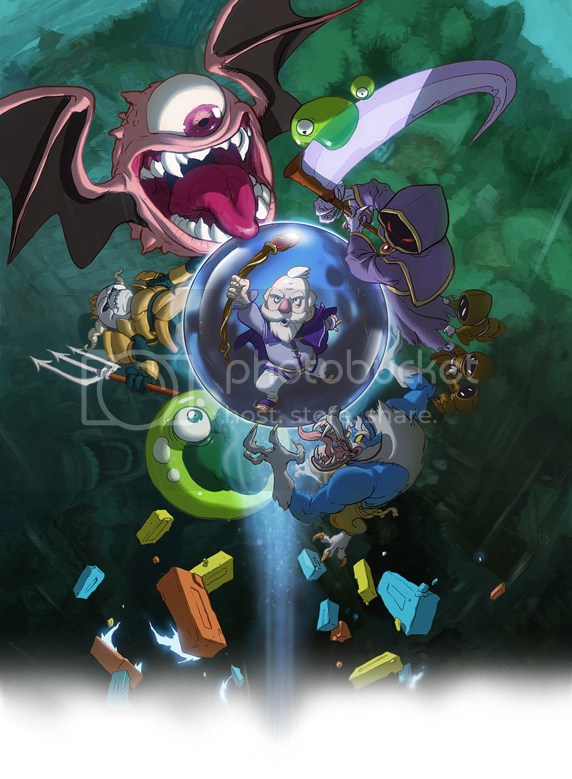 BUY this game if you’d like to see more innovation in the 2D world of platforming.